hase. However, though important to get your questions answered before buying a certain pair of glasses, there are also a few things you should ask yourself. By asking yourself these questions, it will become easier for you to confidently and seamlessly buy the right pair of prescription safety glasses for your eye wear needs. Let’s uncover the five most important questions you should always have answered before buying safety glasses. What Am I Buying The Prescription Safety Glasses For? People purchase prescription safety glasses for a bevy of reasons. 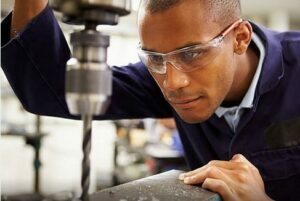 Many purchase protective eye wear for their work environments if they are exposed to laser beams or if they perform metal work such as welding. Other people buy prescription safety glasses for more recreational purposes such as athletic activities, sports competitions, swimming, or motorcycle riding. If you know for what specific activity you will be using the prescription safety glasses for, keep that activity in mind as the influencing factor for why you are picking a specific type of safety eye wear. Obviously, if you are going to be doing glass work, you don’t want to buy prescription swimming goggles. And if you are going to be working around laser beams, you don’t need safety eye wear that is designed solely for motorcycle riding. While many types of prescription safety glasses can be used for multiple purposes, it isn’t a bad idea to look only for safety eye wear that is designed specifically for your professional or recreational activity. This way, you can know that you are getting the greatest amount of safety features needed to protect your eyes, whether you are riding on the open road, scuba diving in the sea, or working in a medical lab. What Can I Afford? This is one of the first questions you should ask yourself when setting out to buy a pair of prescription safety glasses. 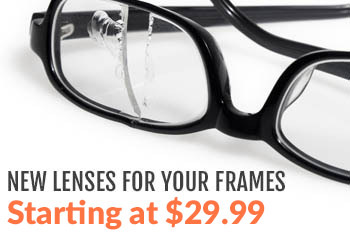 The price range of safety eye wear varies based on quality, functionality, and a few other factors. And when it comes to prescription safety glasses, they are generally more expensive since corrective lenses that fit your exact prescription must be custom-built into the frames. While it is difficult to pinpoint the exact cost of a pair of prescription safety glasses since they could start at $50 and go up to several hundred, you can easily find a high quality pair for approximately $100. If you are buying on a budget, have a price tag in mind that you aren’t willing or able to go over. This will make your buying experience much less time-consuming and frustrating. And there is no need to worry about quality; just because a pair of prescription safety glasses doesn’t cost several hundred dollars doesn’t mean it is a cheap investment or prone to damage. You can still find an affordable option that offers lots of value and long-term use. How Much Protection do I Need For My Prescription Safety Glasses? Clearly, the point of investing in a pair of prescription safety glasses is to protect your eyes when you are doing potentially dangerous work or participating in a recreational activity. But in order for your safety eye wear to properly protect your eyes, it makes sense that you would need lenses that are well-protected too. You don’t want to buy an expensive pair of prescription safety glasses only to have them scratched up or damaged in another way a few weeks later. If you know you are going be performing high-intensity work such as tactical tree work or welding or enduring high speeds on a motorcycle where you are at risk for flying debris, you want your lenses to be as protected as possible. In situations where you know you will routinely be exposed to flying objects such as pebbles, dirt, insects, or other debris, you will want to invest in pair of safety glasses that come with shatterproof features, a scratch-resistant coating, and anything else that will preserve the life of the lenses, especially if they are corrective lenses. How Important is Style to Me? If you are working in a medical lab all day, you may be less concerned about style and are simply looking for something to get the job of protecting your eyes done. But if you drive a sporty motorcycle, there is a good possibility that you are in the market for eye wear that complements that edgy style. The good news for anyone who has prioritized style as an important factor in their prescription safety glasses is that there are endless eye wear options that are both practical yet super sleek and fashionable. Additionally, you don’t have to compromise safety or quality for style either. There are plenty of safety eye wear options that offer multiple features including functionality, security, optimized visibility, protection, and style. There is no need to choose one priority over the other when you can get all of the bases covered at one time. What do I Expect to Get Out of my Prescription Safety Glasses? It seems like a painfully obvious question, but it is important to carefully consider all of the expectations you have for your prescription safety glasses. The two clear priorities are having corrective lenses that have your prescription and secondly, having glasses that protect your eyes. But there are a few other things you will want to consider when making a long-term investment in safety eye wear. One top priority for many is comfort. It’s no fun working eight hours a day with safety glasses that are uncomfortable because they are too loose or too tight. So when you are shopping for your safety glasses, look for something that comes with an adjustable head strap to provide both a strong grip for security as well as flexibility for different head sizes. If you don’t want to purchase a pair of prescription safety glasses with a head strap, there are other options that still provide a high level of security and comfort. Don’t mistakenly believe that you have to sacrifice comfort for complete security. Secondly, many people who purchase prescription safety glasses might have a specific idea in mind of what kind of material they want their frames to be. Many manufacturers construct safety eye wear with a hypoallergenic strap and nylon material to provide a strong grip and optimum comfort. Lastly, you will want to think of the size of the glasses. Do you want wide lenses for maximized vision? Or are you looking for something that is durable, yet practically weightless? Do you prefer goggles or glasses? These are the questions you want to ask yourself before you jump into any purchase. Are you looking for more advice on the different ways to find the perfect pair of prescription safety glasses for you? Don’t hesitate to contact us today, keep reading our other blog posts, or check out our official website. 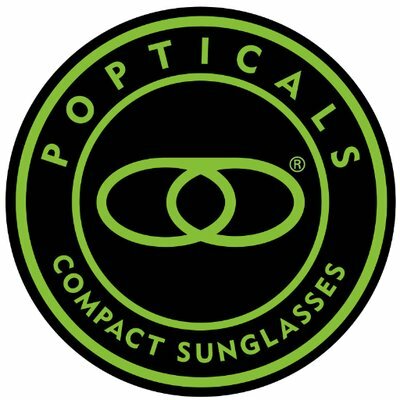 We are committed to helping men, women, and children find the safety eye wear they need whether it is for athletic activities, motorcycle riding, glass work, outdoor tactical work, welding, or any other purpose.